UN Headquarters observed World Environment Day 2014 with an event showcasing ‘Sustainable Energy Partnerships and small island developing States (SIDS).' Speakers noted the disproportionate impacts of climate change on SIDS and recognized the role of renewable energy, the blue economy and partnerships in SIDS' sustainable development. 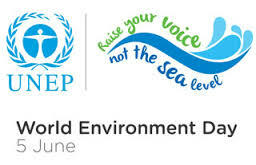 5 June 2014: UN Headquarters observed World Environment Day 2014 with an event showcasing ‘Sustainable Energy Partnerships and small island developing States (SIDS).’ Participants at the event called for partnerships and investments in energy. President of the UN General Assembly (UNGA) John Ashe called for “people across the world to support SIDS and low-lying coastal States that are endangered by rising sea levels and disproportionately impacted by climate change, the loss of biodiversity and forests and overfishing” in a message. He recommended prioritizing the development of renewable energy and promoting an ocean-based green economy, among other actions. Climate change impacts and sea-level rise are the primary concern among 20 emerging issues impacting the sustainable development prospects and environmental resilience of SIDS, according to Achim Steiner, UN Environment Programme (UNEP) Executive Director. In a video address, Steiner highlighted the launch of two UNEP reports. ‘The SIDS Foresight Report’ cautions that the frequency and magnitude of climate and weather related hazards will increase as climate warming accelerates, leading to disproportionate impacts on SIDS in a range of sectors, including agriculture, energy, fisheries, health, infrastructure and water. Still, SIDS can transition to an inclusive green economy through actions on renewable energy and the blue economy, according to the report. UNEP’s ‘Barbados Green Economy Scoping Study,’ represents a roadmap for businesses and policymakers on greening agriculture, fisheries, housing, transport and tourism in Barbados. Speakers also highlighted the role of sustainable energy partnerships in facilitating greater access to renewable energy sources, including solar and wind power. Ravinesh Nand, Fiji Department of Energy, said climate change threatens his country’s national security and must be addressed now. Lord Maafu, Lands and Environment Minister of Tonga, stressed the need for on the ground action, emphasizing the need for finance for adaptation and mitigation efforts. The World Bank provided an overview of its SIDS portfolio including its support to the SIDS DOCK partnership. The International Renewable Energy Agency (IRENA) highlighted its work on Renewable Readiness Assessments, among other activities with SIDS. The Global Fuel Economy Initiative (GFEI), a UNEP-supported network, provided an overview of its efforts to support countries in developing fuel economy policies, noting its partnership with Jamaica. The event closed with a photo essay on renewable feed-in tariffs in Trinidad and Tobago, organized by UNEP.